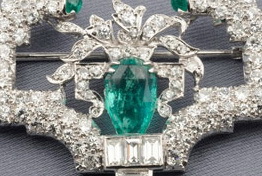 We’ve all probably heard of “estate jewelry” but what exactly is it? Is it just that old gaudy looking stuff we see in our grandma’s jewelry box? The answer is no. Estate jewelry is technically any jewelry that has been owned previously. It doesn’t matter how old it is. The reason for the confusion is that estate jewelry is often sold side by side with “period jewelry.” What is period jewelry? 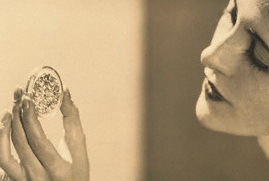 Well, that is jewelry from a particular era such as Art Deco, Art Nouveau, or Edwardian. What confuses the situation more is that many modern jewelry items are being made in these period styles, and called “vintage-inspired” or “revivalist” jewelry. The appeal of this jewelry is that it is said to be a classic and thus never goes out of style. But back to estate jewelry. 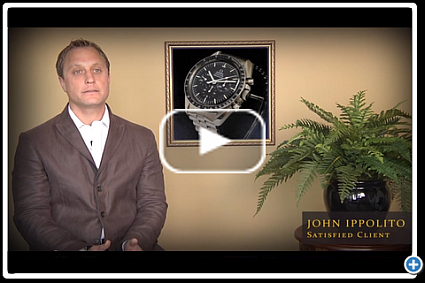 Estate jewelry is a market that has increased dramatically in the last twenty years. 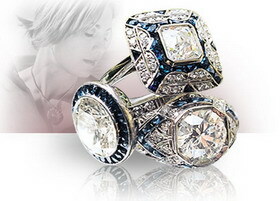 In fact, industry experts have said that it is the fastest growing segment in the fine jewelry market. In addition to estate fine jewelry, estate costume jewelry is also being increasingly sought after by shoppers, who like its kitschy and often funky look. If you are thinking about buying a piece of estate fine jewelry at a San Diego pawn shop, make sure it is coming from a shop whose owner or staff knows fine jewelry, diamonds, and craftsmanship. You need to always beware of counterfeit pieces or items that have been repaired or tacked together from parts of different pieces of jewelry. Don’t expect that original paperwork or a receipt will accompany the piece, as that rarely happens. After all, remember that the person who gave the estate jewelry to the pawn shop owner was using it as collateral on a cash loan. They weren’t actually selling to the pawnbroker or were asked to provide such things as the original receipt. When people go to San Diego pawn shops, they often wonder what they should be looking for. Well, we have one answer: Look for Colored Diamonds!